I have been living on my own for quite some time now, but I can remember the two times when I was in the process of moving. Lugging heavy cardboard boxes, that were loaded with so much packing tape to keep them secure for travel. It's not fun having to cut open every box, and unpack everything... it can take hours, days, weeks, and sometimes months. If you're not naturally organized, it would be a nightmare of a move! Lucky for me, I take after my mom for organization. The only thing that I hated, was the load of crushed cardboard that I had after the move, and some damaged Christmas decorations. Thanks to an awesome company called PackAways, that's no longer an issue. I won't be moving for a few years from now, until the condo that I bought is completed being built. That doesn't mean that I can't keep an eye out for something that will help me in that move. PackAways are the "reusable plastic storage box", that is like cardboard box, but better. How? Well it's stronger since it's made of plastic, it's easy to clean if you must, and they can easily fold flat so you can keep for future storage. They nicely, and easily fold open into a strong box, no need to duck tape or use packing tape. Everything just clips into place, and they even have handles for easy transport. I wish I had these years ago! 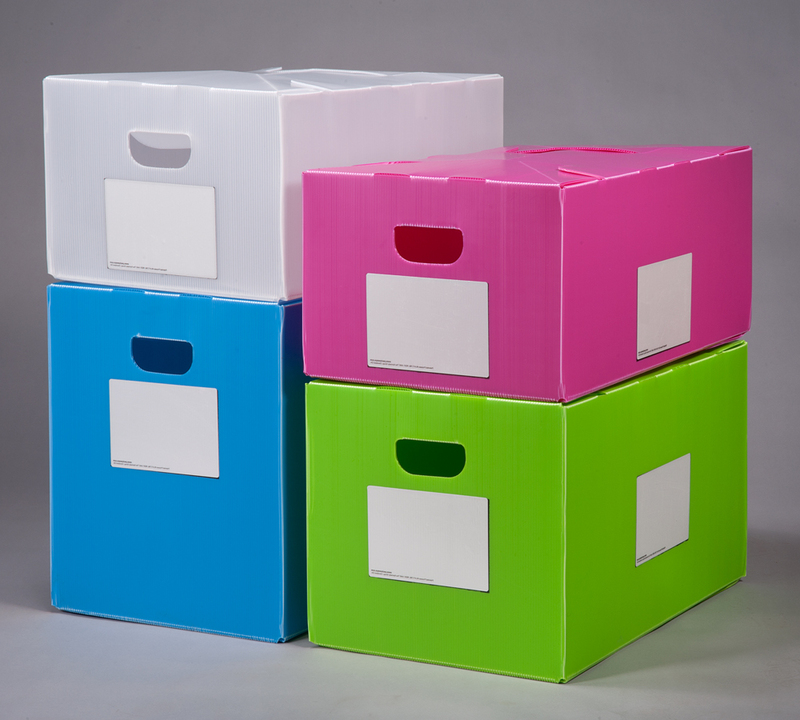 PackAways come in a variety of sizes, shapes, and of course colors. Every box has a white label, so you can easily mark what's in the box. Good news... is that it's removable! Just use an erasable marker on the erasable white panel, and you're able to reuse over and over for years to come. What sizes and styles does they offer? They offer: Classic, Tote, and the Under Bed type of styles. 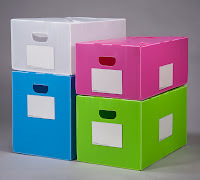 The colors available are white/clear, pink, blue and neon green... perfect for helping to organize. With the boxes being made out of plastic, it helps if you're someone who is storing them in the basement, attic, or anywhere where there's moisture. You wouldn't be protected if they were sitting in a pool of water, but they would protect from normal wear and tear from humid elements. What will I be doing with my new PackAways? Well, I received two boxes for review... a pink and green Classic... one in size 12 gallon, and the other in 16 gallon. I will be switching my Christmas decorations over into these boxes. So far they are in regular cardboard boxes, and the PackAways are so much stronger... plus they're prettier! Interested in getting your own PackAways? They're perfect for so many things... click here to get yours today. Interested in checking them out on Facebook? Click here!